In a new study that could improve the therapeutic efficacy of deep-brain stimulation (DBS) for psychiatric disorders such as depression, a team of scientists shows that, when DBS is applied to a specific brain region, it improves patients’ cognitive control over their behavior by increasing the power of a specific low-frequency brain rhythm in their prefrontal cortex. The findings, published April 4 in Nature Communications, suggest that the increase in “theta” rhythms, readily detectable in EEG recordings, could provide neurosurgeons and psychiatrists with the reliable, objective and rapid feedback they’ve needed to properly fine-tune the placement and “dosage” of DBS electrical stimulation. In Parkinson’s disease, where DBS has been most successful, that kind of feedback is available through a reduction in a patient’s tremors. But for depression or obsessive-compulsive disorder, symptoms can be more subtle, subjective and slowly emergent. The authors acknowledged that the study was relatively small, and because all of the participants were receiving DBS as a treatment, the exact stimulation settings were different between individual participants. Widge cautioned that a more standardized study would be important to verify the results. However, the authors said that with further research, theta rhythms could provide a biomarker to calibrate DBS treatments for psychiatric disorders where cognitive control is crucial. 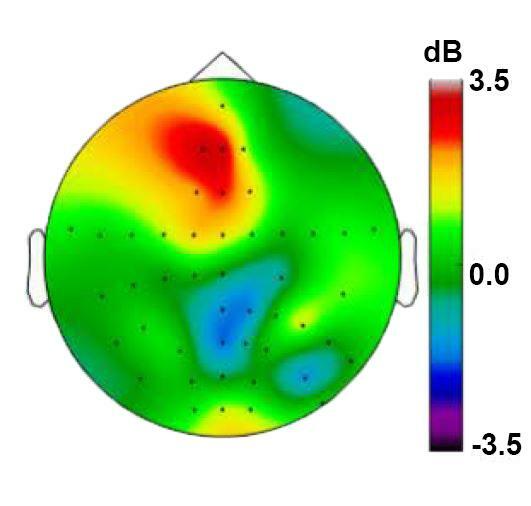 Moreover, individual tuning of theta rhythms via DBS of the VCVS could lead to new treatments for psychiatric disorders where cognitive control – and the flexibility of behavior that comes from exerting conscious intent over recurring emotions or compulsions – is crucial.